Manchester United is playing their next match on 18 of April against Chelsea in the Premier League. 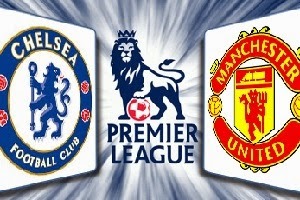 Both teams in great shape, taking respectively 1st (Chelsea) and 3th(United) place. But if we look closely Van Gaal's team won with ease against their city rivals, defeated Liverpool and Tottenham and has six straight wins in the league. With Marouane Fellaini and Juan Mata in grate shape this team is flying high. Chelsea wins are against lower league teams. In addition to that they are not showing good football and win hardily with just a goal difference. The odds in this game are amazingly high for the visitors. The risk is justified and I can't see a reason not to bet!